Even if you’ve never heard our company’s name, there’s a good chance you have tried our products. As a leading manufacturer of private label canned refried beans, chili and sauces for national and store brands, Intermex’s products are enjoyed by millions of people. Since we first opened our doors in 1985, we’ve forged long-lasting relationships with some of the biggest names in food manufacturing, and built a reputation as a reliable, trustworthy co-packing partner. However, our emphasis on making authentic, great-tasting, high-quality prod-head, manufactured to the highest industry standards, has never changed. We produce three main product lines. Read more about each product type below, and feel free to contact us for more information. We welcome the opportunity to be of service to your company, and introduce you to our products — that is, if you haven’t tried them already. Chili is the official state dish of Texas … so who better than a Texas company to pack yours? 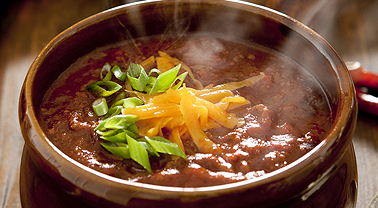 Our fresh, flavorful chili is made with 100% USDA beef, for a homemade taste your customers will love. We can adjust our formulation to help you reach your target market, whether you’re providing a value product or a premium chili blend. 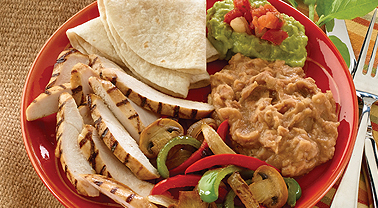 You can taste the Latino legacy in every sauce we make. 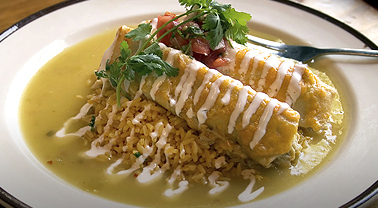 Based on authentic recipes, our savory sauces make the best meals even better — from traditional enchiladas to hot dogs and sloppy joes. We also have the capability to add protein to our sauces, further enhancing nutrition. Contact Us Today to learn how a trusted co-packer can improve your speed to market. At Intermex Products USA, it’s our mission to manufacture, co-pack and distribute the highest quality, best-tasting canned foods to our customers. We partner with consumer packaged goods manufacturers and well-known brands, with a focus on food safety, excellence and service.